It comes in pints: Salsa! Okay, so not beer related, other than it's great to wash it down with beer. I picked up a book of salsa recipes a few years ago, and my plan is to do a Julie and Julia thing and make them all. Here's a link to the book: Salsa I'm going to post the recipes one at a time (no copyright on recipes, no worries there) but the book is definitely worth buying, lots of good advice and some great pictures. Chop together chiles with seeds and tomato using a knife or food processor. Really using a knife is easier and way less clean up. 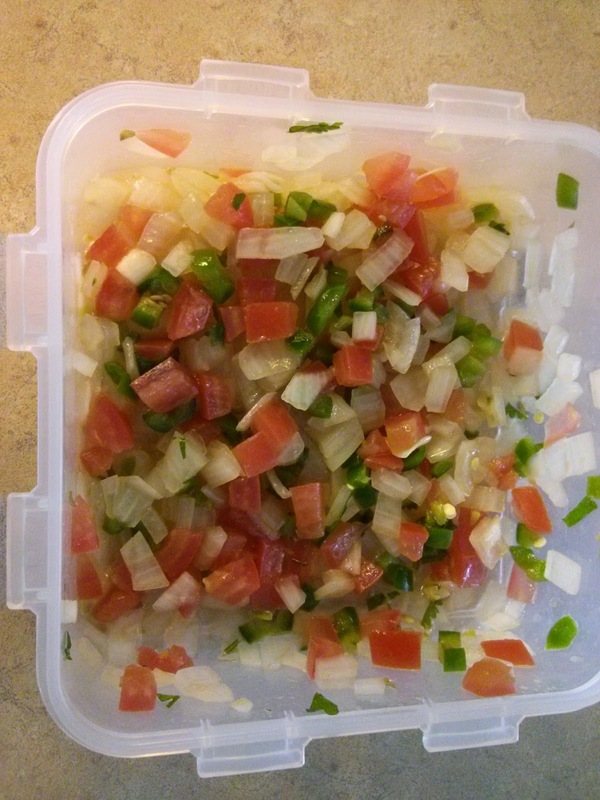 Chop in the onion and cilantro until a coarsely textured salsa is formed. Stir in oil, salt, and water. I left out the water since I didn't think it was needed. It was delicious and easy to make. It went really well with tortilla chips and Bohemian Pilsner, IPA, and Pale Ale. Serrano is one of my favorite chiles.